The bar was set high in July. After all, no month in the five-year history of New Jersey gambling sites had ever performed as well as two months ago. 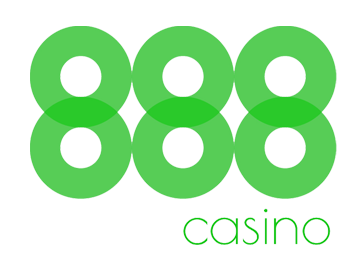 With the August numbers for NJ online casino revenue posted, July still stands alone. But August was still one of the best ever. The top-grossing revenue months in the history of NJ online gambling have occurred in 2018. In August, according to figures reported Wednesday by the NJ Division of Gaming Enforcement, Atlantic City casinos combined for $24,804,558 in online gambling. Only July ($25.9 million) and March ($25.6 million) topped August’s revenue. As an industry, online gambling increased 16.6 percent from August 2017 totals. And nearly every casino played a part in that upward trend. As usual, Golden Nugget led the charge — and with authority. The Atlantic City casino accounted for an astounding $8,172,508 in August, representing a 57.4 increase year over year. 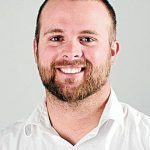 While it may pale in comparison to its record-$9.3 million in July (a 12.39 percent drop month to month), Golden Nugget still topped $8 million for the sixth straight month. Borgata again posted the second-largest revenue for the month, a total of $4,655,466 that reflected an 8.4 percent increase year over year. The largest year-to-year spike came from Resorts Atlantic City, which rose 14.3 percent to an August total of $4,027,035. Tropicana reported $3,593,979 last month, a 9 percent year-over-year decrease but a 7.27 percent uptick from July. Caesars, meanwhile, plummeted to just under $3.5 million — nearly $1 million less than its total at this time last year. For the first time since opening their doors on June 28, Hard Rock Atlantic City and Ocean Resort Casino both reported full months for online gambling. If August’s figures are any indication, each platform, while still a far cry from the industry leaders, are on the rise. Since debuting June 28, Hard Rock online casino generated $817,022 in revenue. Nearly 59 percent of that total was accounted for in August, as Hard Rock reported $481,803. While still nearly $200,000 behind Hard Rock in year-to-date revenue, Ocean Resort posted $385,802 last month, representing 60.7 percent of its total $635,607 in revenue since opening July 10. For the first time in the brief history of NJ sports betting, mobile wagering has kicked in for several properties. This puts a new spin on the total NJ online gambling revenues. With online sports betting included, the revenue for August increases to $27,927,839. Since first launching at the beginning of August, DraftKings Sportsbook eclipsed 1,000,000 accepted wagers. As a result, the platform utilizing Resorts’ sports betting license racked up $2,970,331 in gross revenue last month. 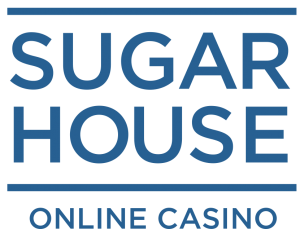 Also active during August, SugarHouse Sportsbook (via Golden Nugget) reported $103,324, while playMGM (via Borgata) totaled $49,626. Both mobile sportsbooks launched near the tail end of August and should surely see better numbers in September. That group could expand even more in the near future, as several other mobile operators are expected to roll out before month’s end. Not all blue skies exist without at least one black cloud. In the case of NJ online gambling, it’s poker. Since its first full month of legalization in December 2013 and through August 2017, online poker generated more than $2 million in 30 of 45 months, including in 16 of the 20 months leading up to this time last year. Yet that area of online gambling for the Garden State has since fallen short of $2 million in each of the past 12 months. Including August. The $1,815,820 in online poker revenue last month reflects a 12.8 percent drop year over year, though it remained somewhat on par with July ($1,848,553). Caesars actually enjoyed a hefty increase in revenue, as its $725,020 represented an 18.75 percent spike from August 2017. Still, Resorts ($650,983 in August) and Borgata ($439,817) both dropped 20.8 and 32.33 percent year over year, respectively. A change in the guard has become apparent in terms of market leaders, as August’s total indicates. At this time last year, Resorts held the majority of the market share at just under 40 percent, while Borgata and Caesars essentially split the remainder. Now, Caesars, at a shade under 40 percent, owns the biggest piece of the pie; Resorts holds just under 36 percent, and Borgata has fallen to 24.22 percent.